This is a collection of documentation about the Salish Sea MEOPAR project. There is a companion collection of project tools documentation. 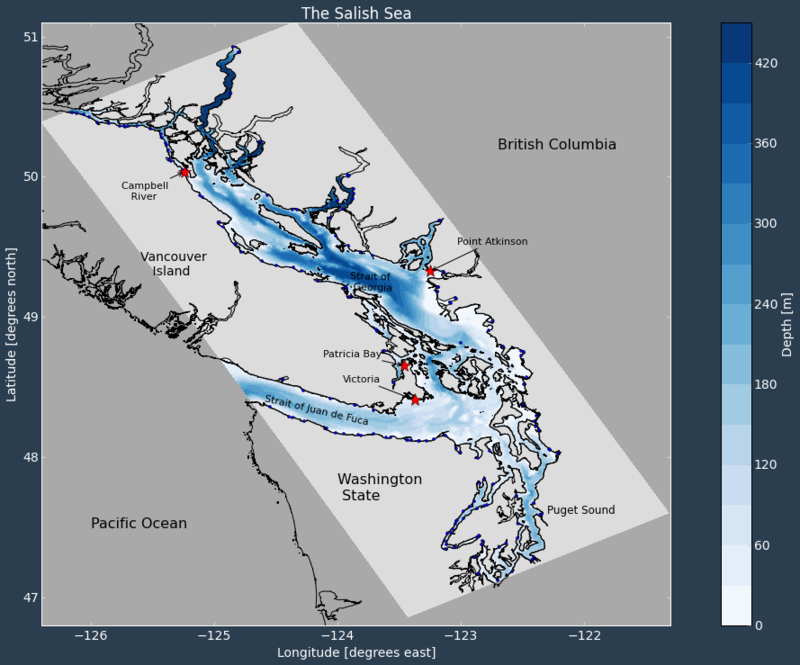 The Salish Sea MEOPAR project team is developing a three-dimensional ocean model for the Strait of Georgia and Salish Sea. Using the NEMO modelling architecture the Salish Sea model will be used to evaluate storm surge risk in coastal communities. A long term goal is to include a coupled biogeochemical modelling component. The Salish Sea MEOPAR Project Documentation by the Salish Sea MEOPAR project contributors and The University of British Columbia is licensed under a Creative Commons Attribution 3.0 Unported License . Permissions beyond the scope of this license may be available at https://salishsea-meopar-docs.readthedocs.io/en/latest/CONTRIBUTORS.html.